Definition of Custom Structured Dollhouses. The meaning of custom made is something that is made to an individual's or customer's particular specifications. So tailor made doll houses are miniature mansions constructed to yours or my own preferences. Such as when you hire a talented artisan to build your mini mansion for you. However tailor made does mean we need more money to see what we want fulfilled. Therefore... No money... No personal construction. Unless of course you are the builder. Then you alone may know of some added ways to lessen the cost to you in building your own mini structure. Absolutely, there are numerous websites listed in the search engines online that cater to you if you want to have a dollshouse tailor made. Though just taking a moment to look, we find some sites that are extremely hard and confusing to navigate. So with these types of sites we are left wondering what they offer. Some other websites are expensive but navigate-able. So if you have the money. Go for it. In the end just think of the miniature mansion you will have to display. Custom built dollhouses seem to have a good air of creativity behind them. Perhaps in these kinds of structures we first saw the Victorian swivel dollhouse emerge. Swivel structures possibly came to be as a tailor made idea. Someone thinking of how they would like to easily turn their tiny dwelling around so as to see both sides conveniently. Also books are a great source of tailored miniatures. So check out all product boxes on this page for abundant ideas. Some custom built dollhouses come as shells so you can decorate or add to as you desire, it would seem. As well some websites have kits you can buy and assemble of their special listed miniature creations. If you are the type of person who likes to have a hand in the creation of your mini mansion these may be something to consider. Even other sites will personally fit your choice of dollshouse together for you from kits sold online at their website. The kits they are using can also be found cheaper at other websites and are usually of common brand names. However what they do concerning these style of houses would be for the person who simply does not want to participate in any fashion with the construction of their dollshouse. These individuals just have an idea of what they want and are willing to pay for its completion. Custom built dollhouses are for people who have no time yet know exactly what they are looking for from the get-go. There are plenty of folks like that around too. These are the people who may not have time or possibly the talent necessary to build a miniature structure. And there's nothing wrong with either of these scenarios. To each his own. The custom built dollhouses that are carefully constructed for you from kits from Dura Craft Country Dream Collection and Real Good Toys seem to be very expensive. However, you usually get what you pay for. The sites that construct from a kit sound very thorough and that they take great care with your purchase. One of the costs as well seems to be the postage for freighting it to you. So don't forget to calculate the shipping and handling fees for these type of structures. On sites from the UK we find that it is difficult to order the items displayed for purchase in North America. However never say never because you may find with communicating with dealers located there, that there is indeed a way to obtain one of these houses. And what awesome mini mansions they are! But again... No money. No dollshouse. It's the same wherever you go. And, the Price is... ? Prices for your tailor made mansion can range anywhere from just over $200 to near $1000. This is of course depending on what you desire constructed. If you're after something akin to Tara's Palace, found here, then naturally expect to haul out your savings. But if you desire a beautiful normal dollshouse it is possible to study and pick the best choice for you and your budget. Do you Construct Personal Dollshouses for Sale? If you happen to build customized dollshouses there seems to be an avenue for you as well. 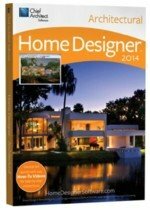 Some websites you will find even cater to the creators of fine mini mansions. A place where you can display and sell your wares. So all audiences are satisfied. From the buyers to the sellers there seems to be something for everyone. Finished with these examples? 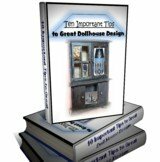 Use this link to search even deeper for custom built dollhouses. Good Hunting.